U.S. District Judge Richard M. Berman acquitted Tom Brady of his four game suspensions Thursday, September 3, 2015 over the deflation of football scandal. Judge Berman said that NFL commissioner Roger Goodell went too far with the punishment. However, the league is not ending this dispute and will appeal the decision later. The league appealed to the 2nd U.S. Circuit Court of Appeals in Manhattan with a onepage notice from NFL attorney Daniel Nash. 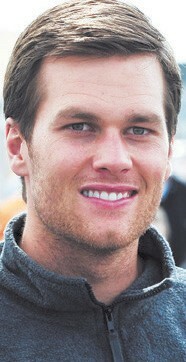 Since the league did not seek an emergency stay, which freed Brady to play while an appeals court considers the case. This could take months. Brady has stated he played no role in the deflated ball and because he did not know that he could suffer a four game suspension and the court upheld that statement. The Patriots wrapped up their preseason schedule Thursday night with a 12-9 loss to the New York Giants. Brady was not in attendance.